What are directions and parking options at TechSpace — Houston? 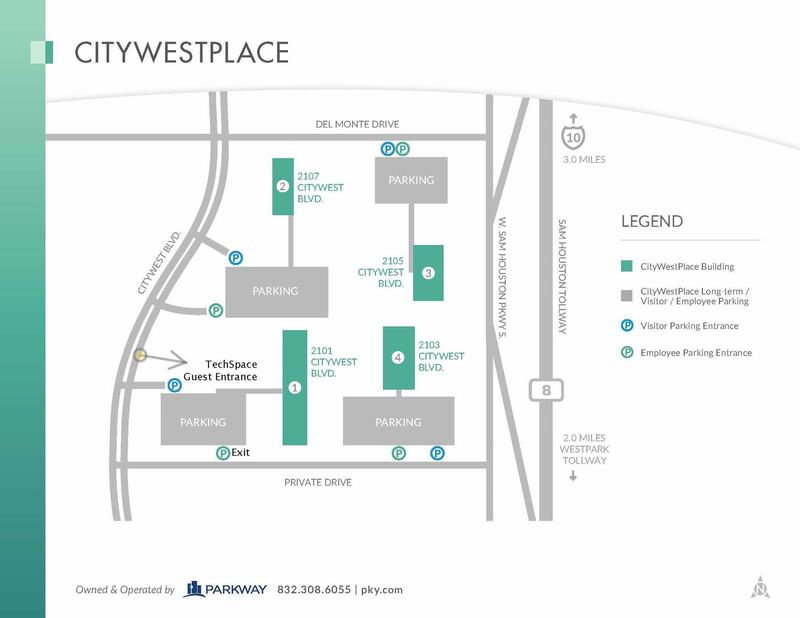 TechSpace is located at 2101 CityWest Blvd, Building #1. Enter Building #1 Guest Parking lot and let security know that you are here to attend the Networking Event. They will have your name on their attendee list. Once through the garage find the first available spot to the left on the 1st floor and enter through the automatic doors. Follow the hallway marked “TechSpace” to the entrance on your right to the lobby. Interested in helping organize future ACMP Houston events?